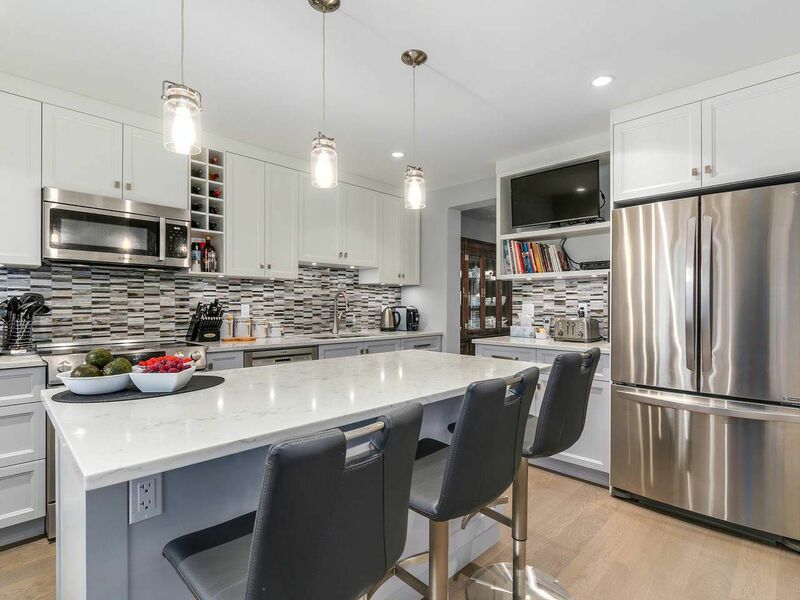 Better than new-- this designer's own home has been completely redesigned with $200,000 + of new renos in this beautiful townhome. Everything has been done--all new wiring, electrical panel and baseboards, all new insulation and new drywall (most), all new hardwood floors, carpets, tiles quartz counters, plumbing, light fixtures, faucets and cabinets in brand new bathrooms and new kitchen, a new wall of pantry, new appliances (Bosch and LG). Luxuries, such as California shutters, gas bib for the BBQ, new vinyl windows—plus you have a fantastic location within the complex with the private water feature at your backyard. It doesn't get any better than this. Age restricted complex 19+.